Embrace the cravings! 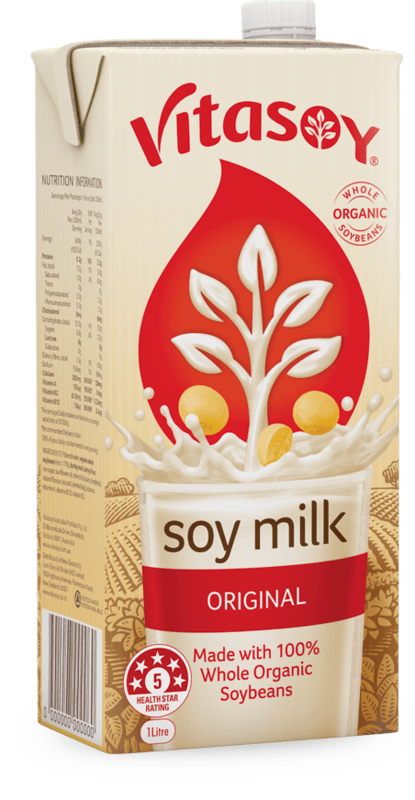 Vitasoy Vanilla Flavoured Soy Milk is made from GM-free Aussie whole soybeans, a hint of vanilla flavour and less than 2% fat. 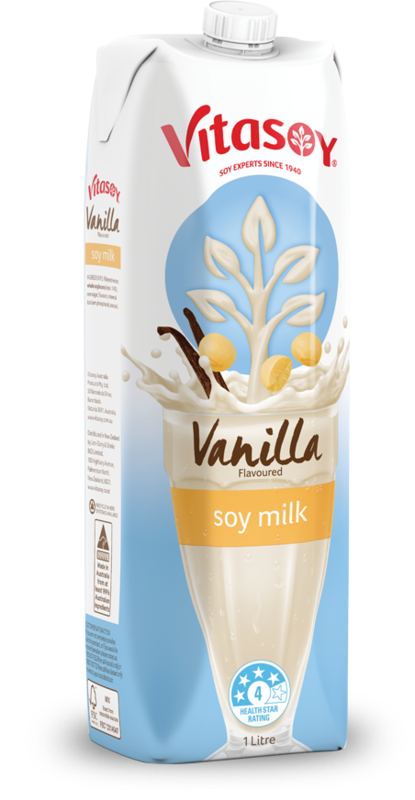 Made from whole soybeans, Vitasoy Vanilla flavoured Soy Milk is a natural source of protein. 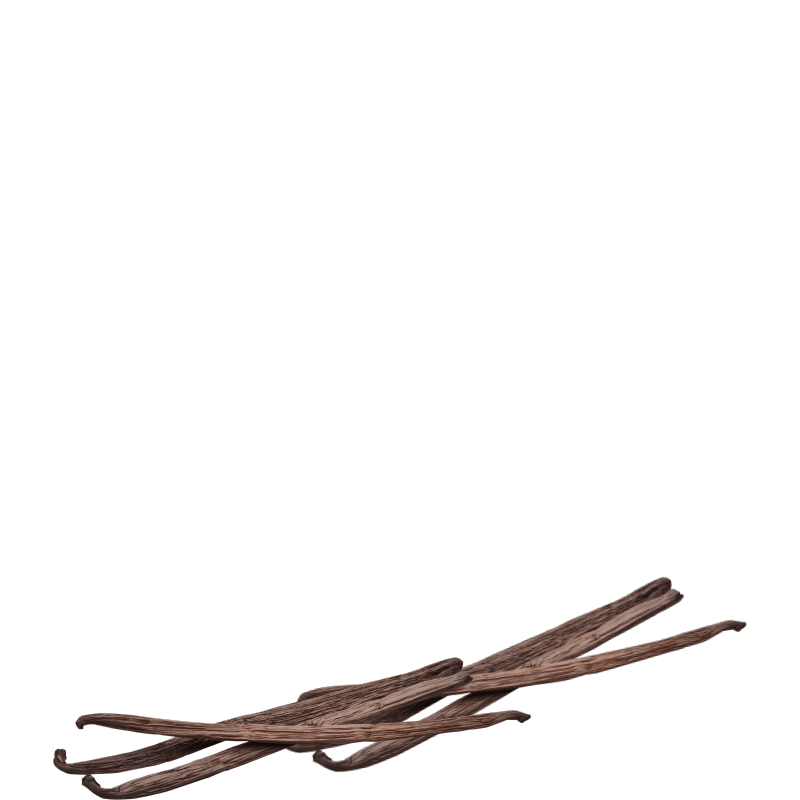 It also provides a third of your daily calcium~, and with less than 2% fat, this creamy vanilla treat is hard to beat. It’s naturally free from dairy, lactose, gluten and cholesterol. 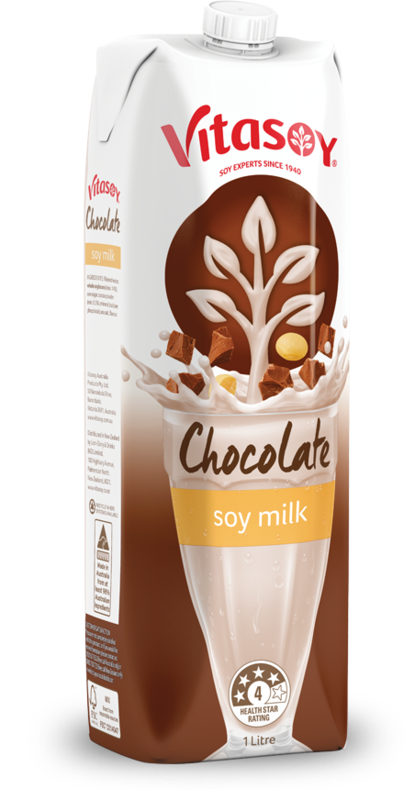 Plus you won’t find any artificial colours or preservatives added in here. So you can enjoy our delicious soy goodness and creamy vanilla flavour. This product is available in New Zealand only. 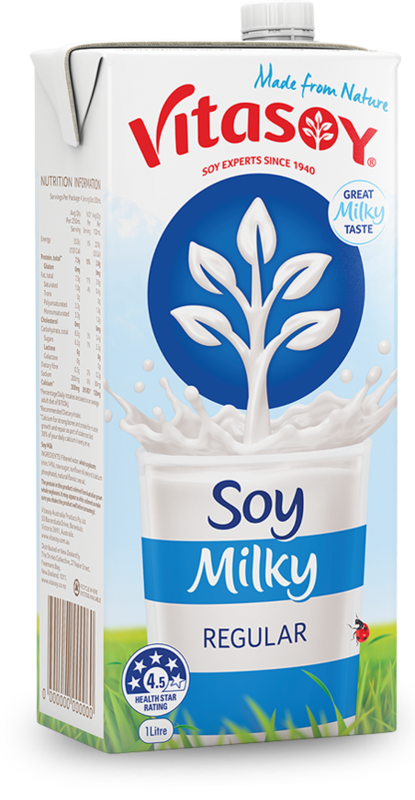 Find your Vitasoy Vanilla flavoured Soy Milk chilling in the fridge, or pick it up in the long-life aisle nestled amongst the other UHT and plant milks. Please note, this product is available in New Zealand only. 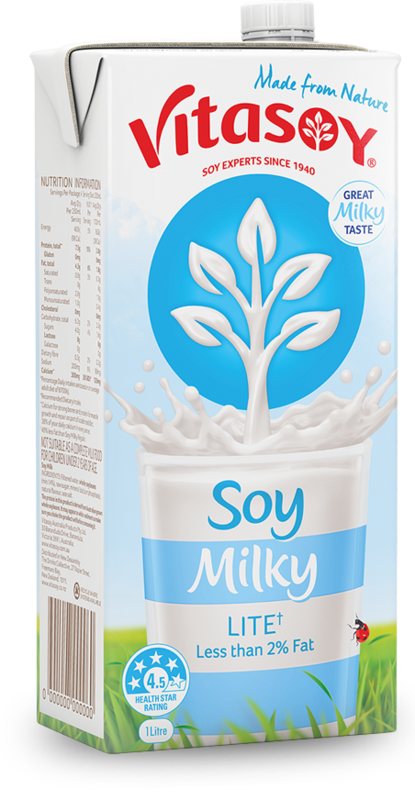 Ingredients: Filtered water, whole soybeans (min 14%), raw sugar, flavours, minerals (calcium phosphate), sea salt.